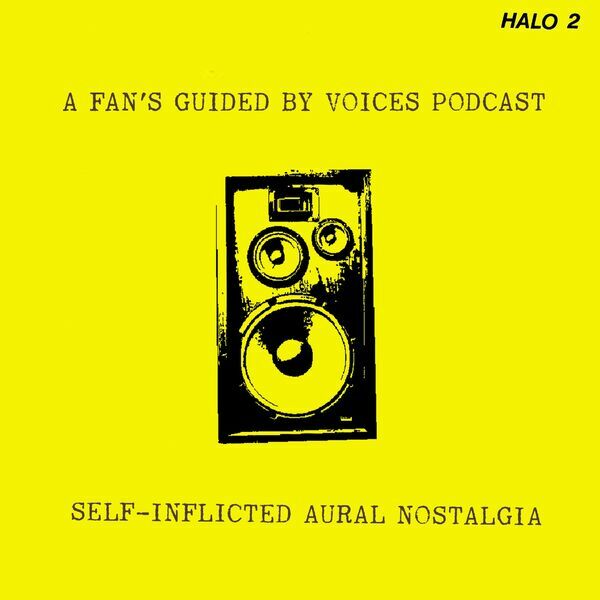 Self-Inflicted Aural Nostalgia: A Fan's Guided By Voices Podcast takes an in-depth look at the history of, and context behind, every GBV record, starting with their 1987 debut. Each episode talks about how every LP was made, the songs it contains, its sound and how it fits into the Guided By Voices universe. GBV's first record of 2019 is a double album. And an instant classic. 27 original songs about and inspired by Guided By Voices. We finish up our look at the first twenty-five GBV LPs with an in-depth audio tour of the band’s only studio record of 2018, Space Gun. My talk with the engineer of the last three GBV LPs. Plus the next two. Two records in one year? That’s the GBV we all know and love. Bob’s back with a new band. And they all write songs. And they’re good. It’s a 32 track instant classic. Bob plays all the instruments on the surprise return of Guided By Voices. My discussion with the director of four videos for Robert Pollard. The last LP featuring the so-called classic lineup. After three records in 2012, this was the band’s only record from 2013. What we talk about when we talk about prolific. It’s GBV's third LP of 2012. A discussion with the author of the Robert Pollard biography, Closer You Are. You call that a break up? It’s the triumphant return of GBV’s classic lineup. It’s the end of Guided By Voices. For a couple of years anyway. My Son, My Secretary, My Country, My Look at GBV LP #14. GBV heads back to the lake for LP #13. And back to Matador Records. Adam Shore, the man who signed GBV to TVT, talks about working with the band, getting kicked out of the Pine Club, and why going to see the band play live is like going to church. Divorce, drinking and poetry written at ninety miles an hour. GBV’s most controversial record. I’ll be the someone who tells you why. Episode 10 // Mag Earwhig! Bob pairs up with Cleveland band Cobra Verde for a record that sounds like the Who, except on all those tracks where it doesn’t. Kim Deal. Steve Albini. Robert Pollard. What could go wrong? Dud? Masterpiece? Bombastic? Steve Albini’s cat? It’s Alien Lanes. Here’s my discussion with the man who first signed GBV, and who gave The Grand Hour, Vampire on Titus, and Bee Thousand to the world. Take an audio tour of an indie rock masterpiece, GBV’s 1994 record, Bee Thousand. Shocker in Dayton: GBV gets signed, plays shows, and releases a lo-fi classic. The indie rock classic that almost never got heard. Drinking, destruction, murder, and madness. It’s GBV’s fourth record, and their first classic. 1989. The birth of lo-fi. Let's navigate some flood regions. Let's talk about GBV's second record of 1987, Sandbox. Bob calls it "overproduced." I call it not as bad as you remember it. The podcast kicks off by looking at the first LP by Guided By Voices, Devil Between My Toes.